The Arizona State Retirement State System, the state’s largest pension, will be reaching retirement age itself this year, marking 65 years on July 1. Unfortunately, with that birthday, 209,000 active members of ASRS (out of a total membership of 586,300) will have to chip in a bit more as the pension reduces its annual investment return to 7.5% from 8%, a level that has been in place since 1985. ASRS has had an average annual return of 9.7% from July 1975 through June 2017, a remarkable run, considering the Standard & Poor’s 500 Index has an average total return of 7.7% for the 15-year period ended Dec. 31 on a quarterly basis, according to Morningstar. Naturally, this makes us quite curious as to what stocks this fund is invested in. Out of the fund’s $38 billion assets, $10.3 billion of it was in U.S.-traded equities as of Dec. 31. The pension made some interesting fourth-quarter stock buys, including Cypress Semiconductor (ticker: CY), Oracle (ORCL), Walmart (WMT), Shake Shack (SHAK) and 8×8 (EGHT). Cypress witnessed a swamp-dredging proxy battle last year as its founder and former chief executive T.J. Rodgers successfully ousted the executive chairman and the lead independent director. By the end of the year, shares gained 37%, excluding the dividend. Cypress, whose chips are used in Apple’s (AAPL) phones and Amazon.com’s (AMZN) speakers, has continued to do well; shares are up 37% so far in 2018 through midday Thursday trading. ASRS bought 51,700 more Cypress shares in the fourth quarter, raising its investment to 240,200 shares. Software giant Oracle shares rose 25% in 2017, outpacing the 20% gain in the Standard & Poor’s 500 Index. Oracle is up another 10% so far in 2018. At our 2018 Roundtable, Oracle was a name brought up as one example of a company that was going to put repatriated cash to work on mergers and acquisitions, share repurchases, delevering and dividends. The pension bought 49,300 more Oracle shares in the fourth quarter to end 2017 with 818,900 shares. ASRS bought 48,800 more shares of Walmart in the fourth quarter, boosting its holdings by nearly 11% to 503,600 shares of the retailing giant. Walmart cheered investors by holding off Amazon as U.S. sales growth in the fiscal third quarter were the strongest in nearly a decade. Shares soared 47% in 2017. In the new year, however, renewed fears of Beast That Never Sleeps once again echoed through Walmart land. Walmart is down 11% so far in 2018. 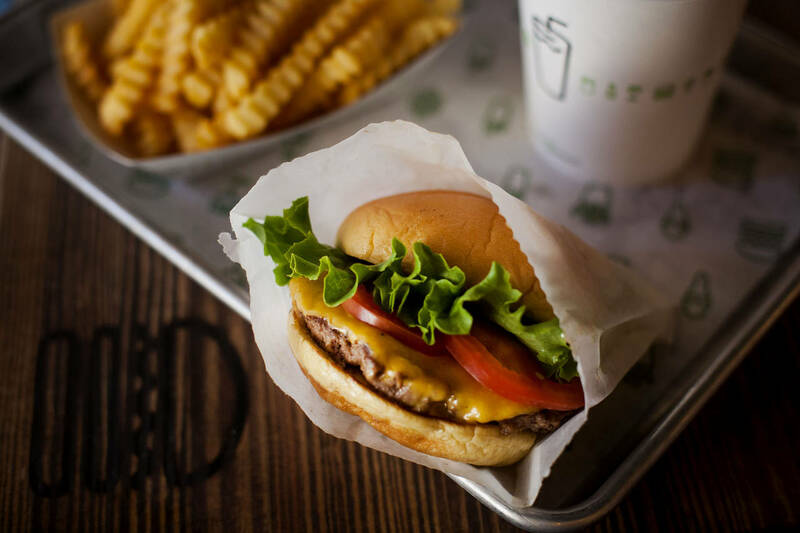 Burger chain Shake Shack just outpaced the S&P 500 in 2017 with a 21% gain, but so far this year they have hit the concrete with a 4% slump. The pension more than tripled its holdings in Shake Shack by buying 21,400 more shares and ending 2017 with 30,800 shares. We noted in December that Morgan Stanley had upgraded the stock not to Overweight, but Equal-weight, which certainly isn’t a call to buy shares. Still, for a restaurant that at the end of 2017 operated a total of 159 locations (90 company operated, 10 domestically licensed and 90 internationally licensed), it is remarkable that the updated roadside burger concept is a factor in making giant McDonald’s take a fresh look at its beef. Cloud company 8×8 hasn’t been a high-profile tech stock. When it switched to trade on NYSE from Nasdaq in December, there was scant media attention. That’s too bad, because more people should be warned that 8×8 is wielding a two-by-four, logging a 40% gain so far in 2018; shares slipped 1% in 2017. Earlier this week, the company announced it had hired former Google G-Suite product leader, Hunter Middleton. ASRS more than tripled its investment in 8×8 in the fourth quarter by buying 107,000 additional shares to raise its investment to 154,500 shares.